They were from personal friends who were poking a little fun at Poughkeepsie, and probably me. Like, who goes on a two-day vacation to Poughkeepsie, dude? I know that all these comments were meant to be tongue-in-cheek, and admittedly, I chuckled. But, in the same moment, it occurred to me that twenty years ago, people were saying the same about Rochester. Kids in my high school all claimed how much it sucked. They couldn’t wait to move. Today, twenty-somethings are some of the city’s loudest cheerleaders. In 2013, Forbes ranked the twenty “most miserable cities” in the United States. 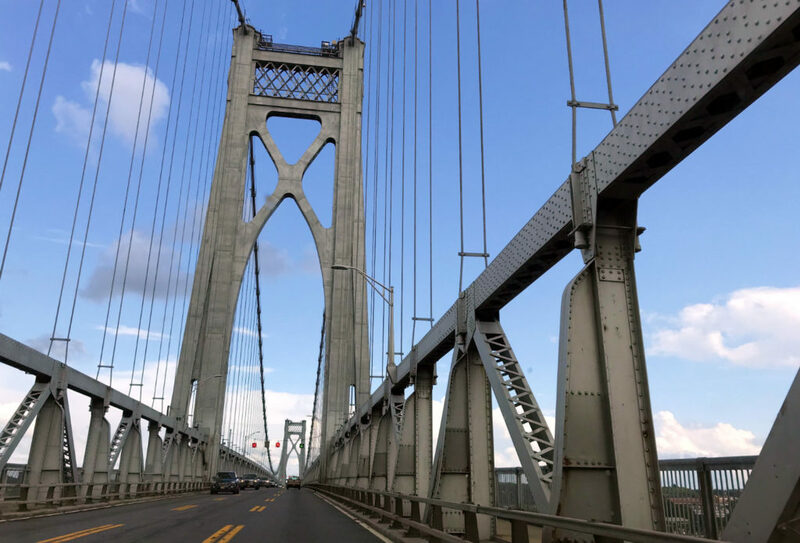 The criteria that slammed Poughkeepsie into the 18th spot was “crummy weather” and commute times. According to their data, the 31.9 minute average commute is the sixth longest in the country. Then they tacked on “onerous taxes” for good measure. In fairness to Forbes, they’re technically right about that data. But in fairness to Poughkeepsie, taxes are a statewide concern, and so is weather. Have you ever been to Syracuse during a snowstorm? It once took me 3-and-a-half hours to drive from Destiny USA to Penfield because of snow. That’s normally a one-hour-fifteen-minute drive! I’m not special. Basically everyone in Upstate knows that game. Forbes, and other websites, create lists based strictly on data. They strip away the personality of a place, throw in a bunch of numbers, and we all click on it. They want us to click on it. That’s how they make money. They want us talking about their stupid lists. It’s why you see “10 Most Picturesque Towns”, and “5 of the Most Hipster Cities” all over Facebook. It’s all based on one element that is quarantined from the other parts, but that doesn’t seem to matter. We still share it. Fine, But Poughkeepsie is Dangerous! 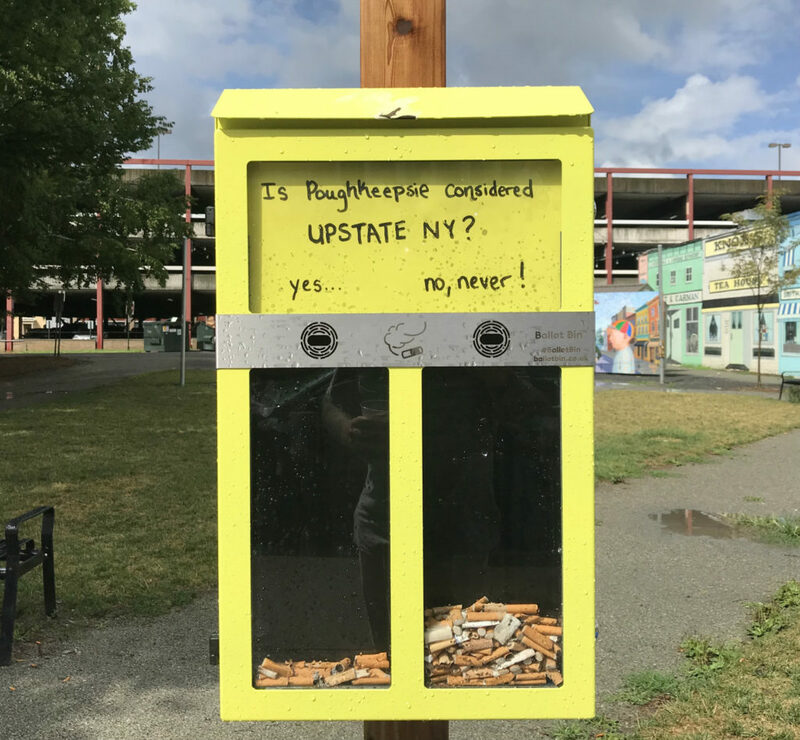 Among locals, there is somewhat of a joke about who has worse crime, Poughkeepsie or Newburgh, which is about 30 minutes south in Orange County. Both cities are right on the Hudson River, but on different sides. I know both cities have struggled, and still struggle. But, hear me out. In 2016 the city of Poughkeepsie’s population hovered around 30,000 people, Newburgh just a couple thousand fewer. Newburgh had six murders that year, which is 20.3 per 100,00 people. By comparison, Rochester had 43 that year, which is 20.5 per 100,000 people. Poughkeepsie had three murders in 2016, which is only 9.9 per 100,000. Bored with data yet? Good. Because now I want you to forget all of it. Why did I go to Poughkeepsie? 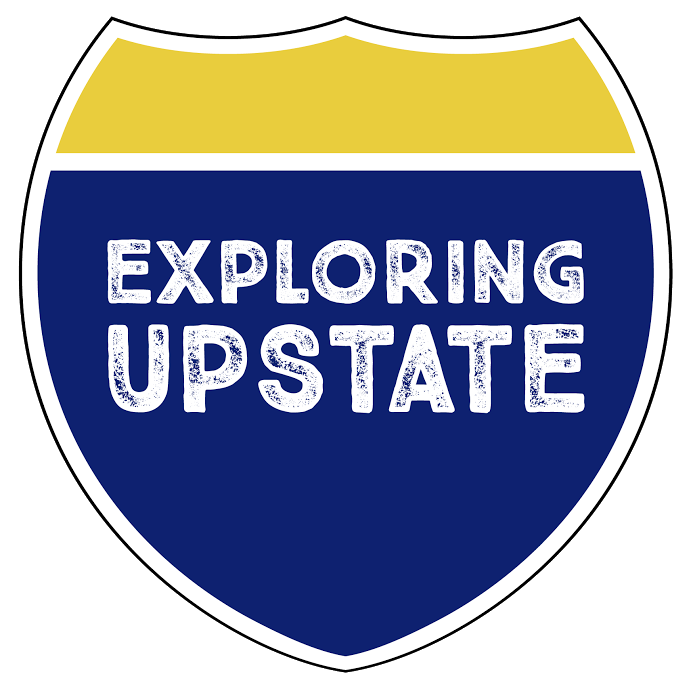 After spending 48 hours in Poughkeepsie, my intent was to break down a bunch of my stops into separate blog posts like usual. Normally, I’m in a city and hit up a bunch of spots, and then write a bunch of posts. 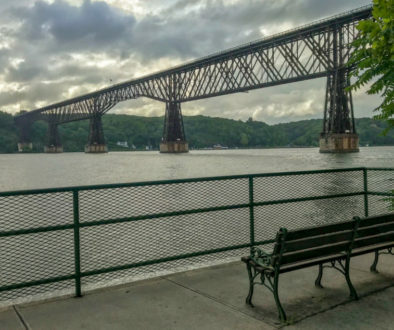 Just barely outside the city of Poughkeepsie is Hyde Park, where you’ll find the Home of Franklin D. Roosevelt. 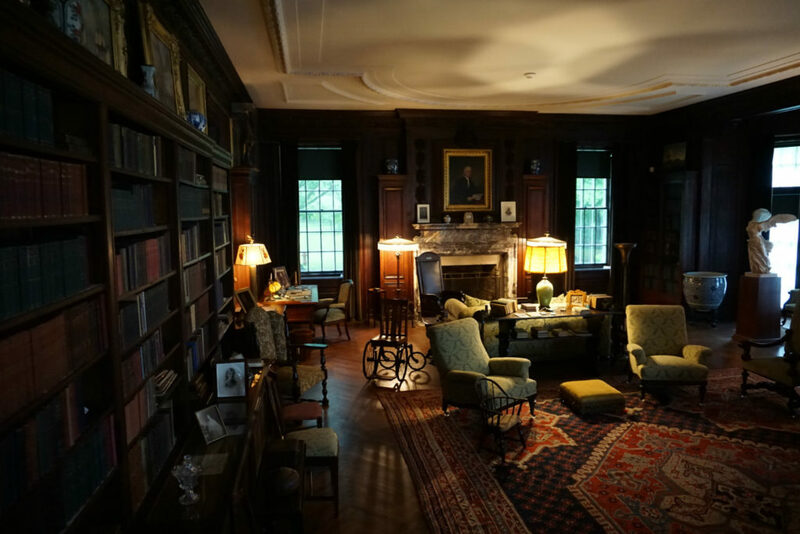 It’s now a NYS Historic Site, and you can visit his former home, his Presidential Library (the first of all presidential libraries), and the final resting place of the former president and first lady Eleanor. I spent a rainy morning touring the grounds with a super friendly docent. Not far is the Culinary Institute of America, with a whole bunch of incredible restaurants to experience. There’s the Vanderbilt Mansion further north. 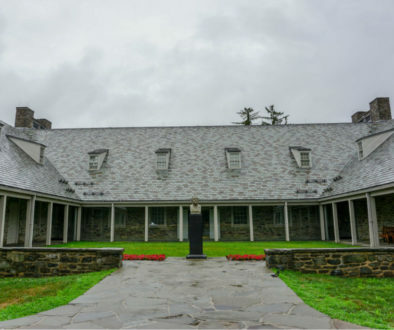 There’s Eleanor Roosevelt’s cottage at Val-Kill. 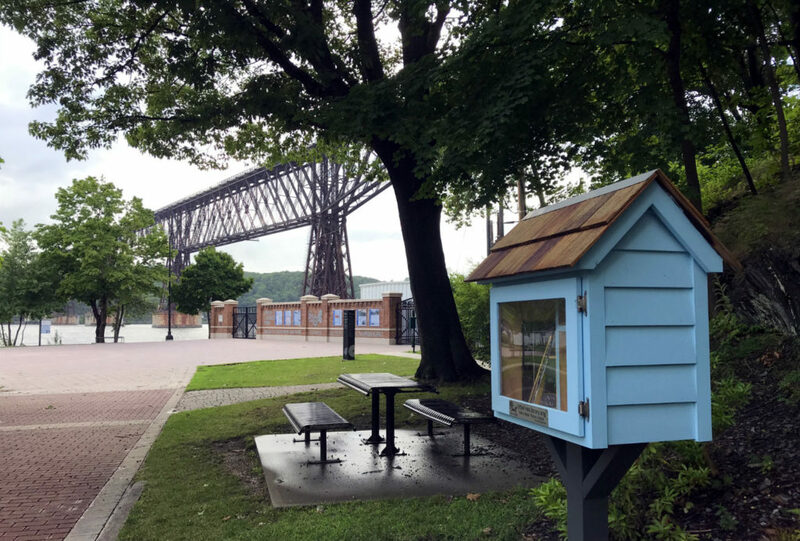 I know some will point out that these aren’t actually in Poughkeepsie, but they are a great part of the immediate surrounding region. Let’s go back in the city then. Poughkeepsie’s coffee scene is solidly moving along, no doubt with influence from New York City. I hit every one of the coffee shops I could find, starting with North River Roasters. 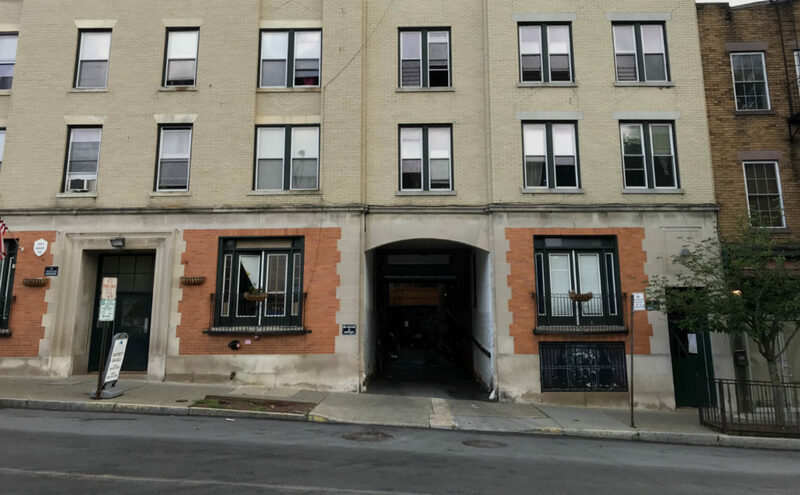 They’re located in the Poughkeepsie Underwear Factory, a multi-use re-purposed historic building with living spaces, offices, and a cafe. The cafe is noteworthy, because during the day it’s occupied by Earth, Wind, & Fuego, but then rented by the hour other times. Anyone wanting to start a food related business that doesn’t have a kitchen, now has reasonably priced access to a professional setup. That levels the playing field for businesses, because a startup doesn’t have to shell out the funds for a full build out. It’s very FDR, actually! 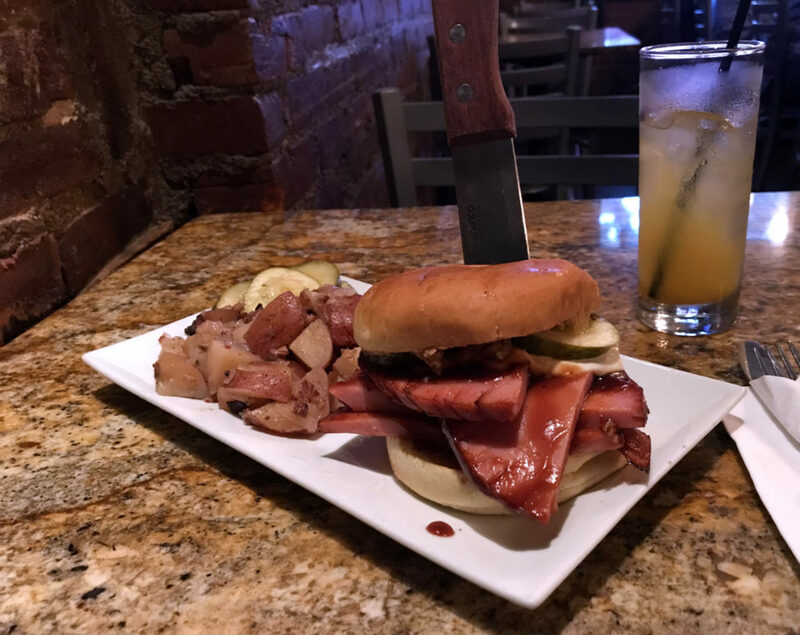 The folks at Schatzi’s pub were super cool, and served me an amazing hickory smoked bologna sangwich with raclette cheese, housemade pickles, and mustard. The food was outstanding, and the emotion in Schatzi’s was on the same level. I experienced the same in the Mill House Brewing Company, The Crafted Kup, Poughkeepsie Grind, and everywhere I went. Everyone was friendly and happy to chat with me. Public art fans will find plenty to enjoy with murals. 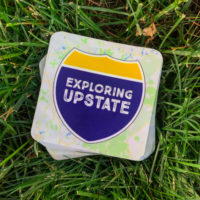 And, while checking out one of those, I found probably the most creative survey method I’ve ever seen for determining where Upstate New York is! Sorry, smokers. We’re all in this Upstate thing together. Some of you are thinking, “Don’t forget about the Walkway Over the Hudson!” And, I won’t. I’ll tell them right now. 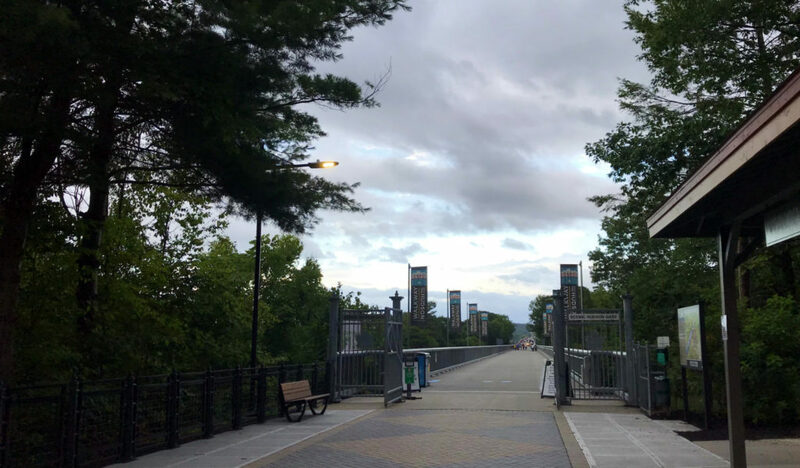 Recently, the city has renovated a former train bridge spanning the Hudson River. Admittedly, it looked so cool online, that the walkway was the inspiration for my trip, and it did not disappoint. The 1.5 mile (one way) foot bridge offers an amazing view of the valley. I did know. Not from experience, of course, but from history lessons. There was something incredible about a black girl in 1959 meeting Eleanor Roosevelt. There was something incredible about that same girl later volunteering as a docent at Val-kill. There was something especially incredible about a 96-year old woman being alive at all, much less volunteering her time. There was something incredible about two strangers connecting in a moment when one took a chance on something entirely foreign, and wanting to learn more. Just like, there’s something incredible about visiting a city you’re told you shouldn’t bother with, and finding that you’ve discovered a hearty food scene, incredible local history, and super cool people. 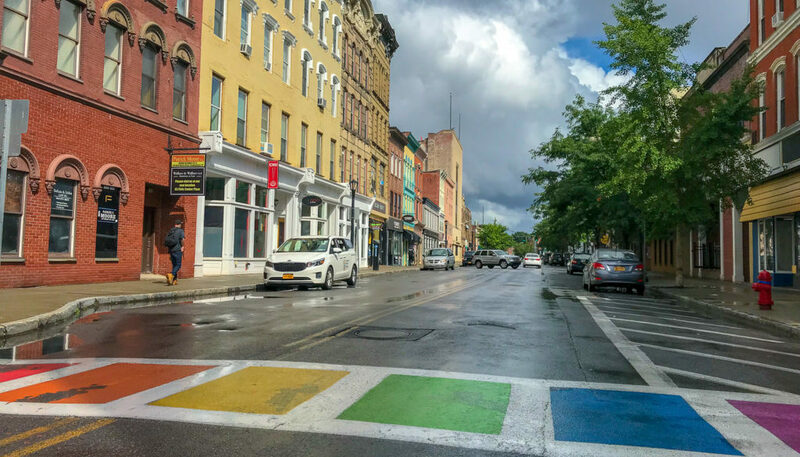 Elvis Costello claims in a song that the “Women in Poughkeepsie take their clothes off when they’re tipsy.” I didn’t see any of that, but I did see a city attempting to proudly beat its chest and let the rest of New York know they should be heard. It’s time the naysayers listened. This was so upbeat and interesting! thank you. so for example, this first weekend of August: First Friday with food, art, music, fireworks; O+ festival of art, music and wellness; La Guelaguetza traditional Oaxacan food, dance and music; free open air movie under the Walkway …. I’m sure I’m missing something. 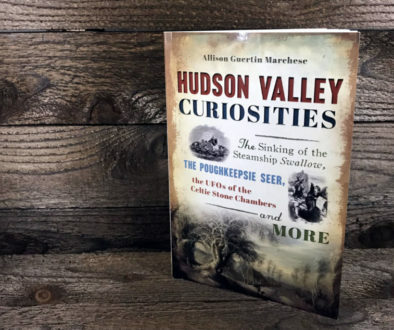 It’s so nice to read your take on Poughkeepsie. 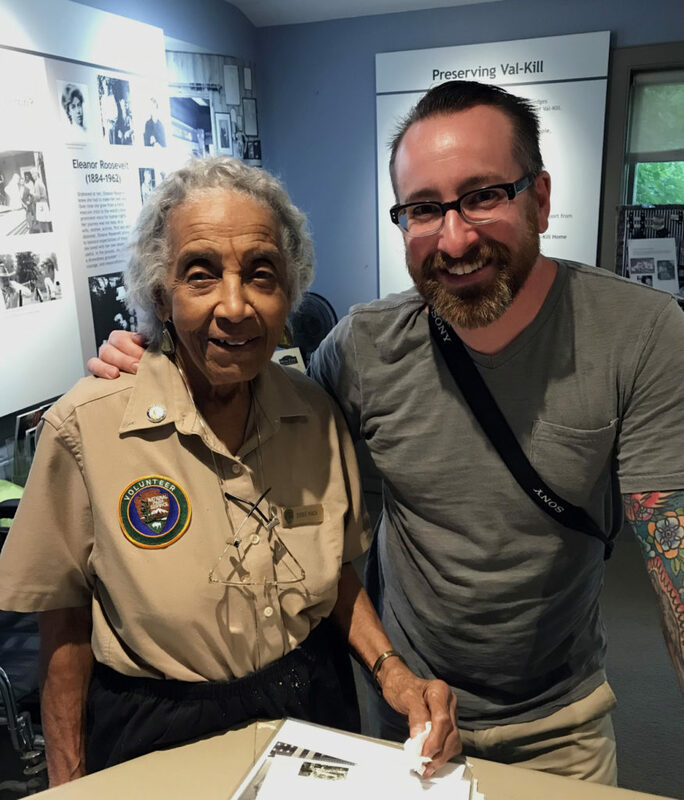 I was the NPS employee who took your picture with Doris, and as someone who grew up in the area, I’m so glad you were able to explore and more importantly, enjoy this wonderful place! And next time I’m in Rochester I’d love some suggestions! What a WONDERFUL article! Very much appreciated from an “elderly” born-in-Poughkeepsie guy! You captured some of it — it’s really a great place, a good place to make your home. Newcomers welcome!